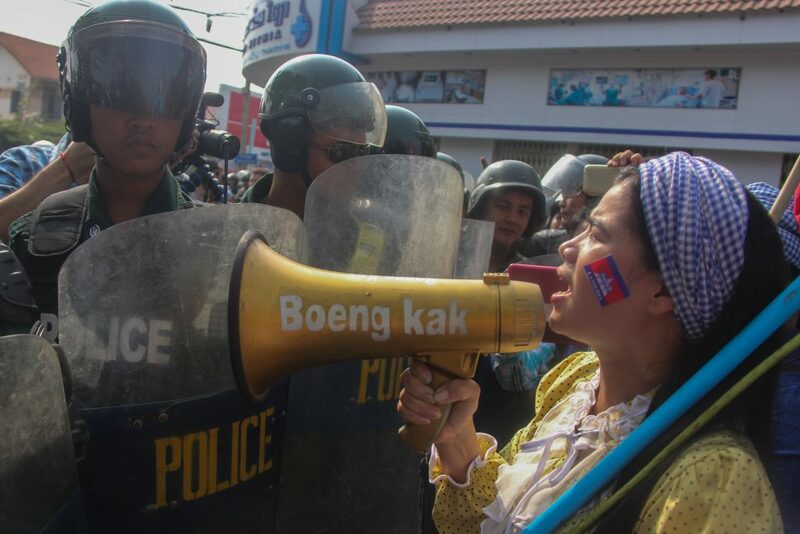 Land activist and human rights defender Tep Vanny has been unjustly detained for two years as of today, for defending the rights of the Boeung Kak Lake community and her fellow Cambodians. We, the undersigned communities and civil society organisations, condemn her ongoing imprisonment and call on the authorities to immediately and unconditionally release Tep Vanny, drop all dormant criminal charges and overturn any convictions against her, so that she may return to her family and community. Tep Vanny has fought tirelessly to protect the rights of members of her community following their forced eviction from their homes on Boeung Kak Lake, Phnom Penh, but also those of fellow human rights defenders campaigning for separate causes. As long as she is behind bars, Tep Vanny is prevented from carrying out her peaceful and valuable work. It was during one such peaceful protest that Tep Vanny was arrested on 15 August 2016, challenging the arbitrary detention of four human rights defenders and one election official. On 22 August 2016, she was convicted of ‘insulting a public official’, and sentenced to six days in prison. However, instead of releasing her based on time served, the authorities reactivated dormant charges dating back to a 2013 peaceful protest, later sentencing her to two and half years of imprisonment and a fine of 14 million riels (around $3,500). To date, Tep Vanny’s requests for pardon or early release have all been rejected. Her many trials and appeals have fallen far short of fair trial standards, with the evidence presented failing to meet the burden of proof required to sustain a conviction. Her excessively lengthy detention, apart from taking a personal toll, further deprives her two children of a normal childhood, since they only see their mother once a month. Tep Vanny’s mother’s deteriorating health is aggravated by the ongoing unjust treatment of her daughter. The inability to care for her family places an acute psychological burden on Tep Vanny which is exacerbated by her detention in one of Cambodia’s worst prisons. Civil society representatives as well as members of the Boeung Kak Lake community have been frequently turned away when attempting to visit her in prison, further compounding the isolation from friends and family and in violation of the UN Standard Minimum Rules for the Treatment of Prisoners. We call on the Cambodian authorities to release Tep Vanny immediately and unconditionally, drop all charges and end all criminal investigations against her. This will ensure that she is able to continue her work as a human rights defender, and more importantly reunite with her family and community. Finally, we urge the authorities to cease the intimidation and harassment of Tep Vanny and all other activists through arrests, prosecution and imprisonment.